Emrys Williams exbhibition at Left Bank, Tarland. 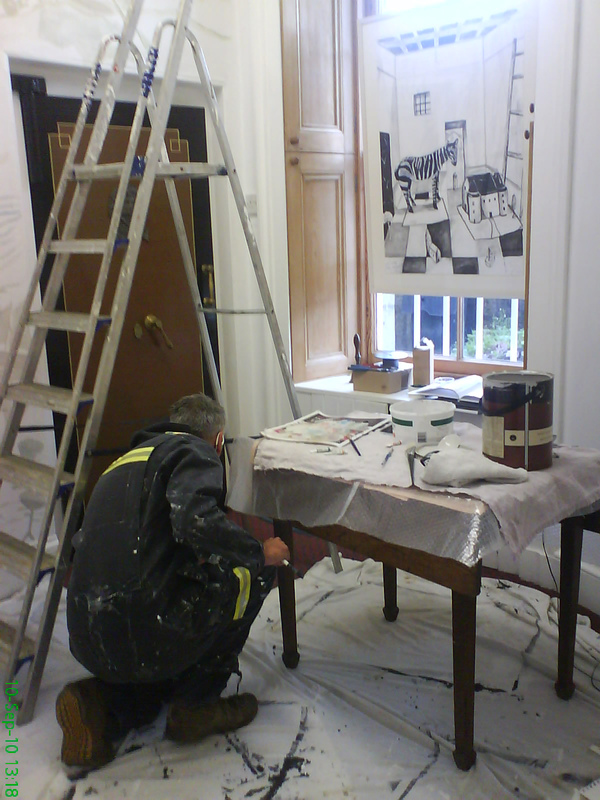 Photos of Emrys Williams painting a new work at Left Bank. 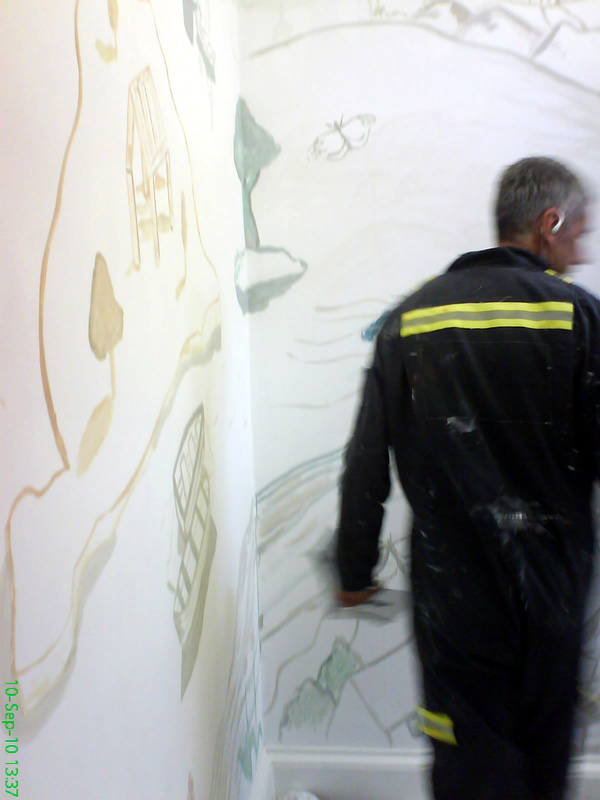 During the installation of the show the artist painted a new work based on a series of ink drawings inspired by the song, ‘Another World’, by Antony and the Johnsons. To see more images click here to visit the artist’s web page. 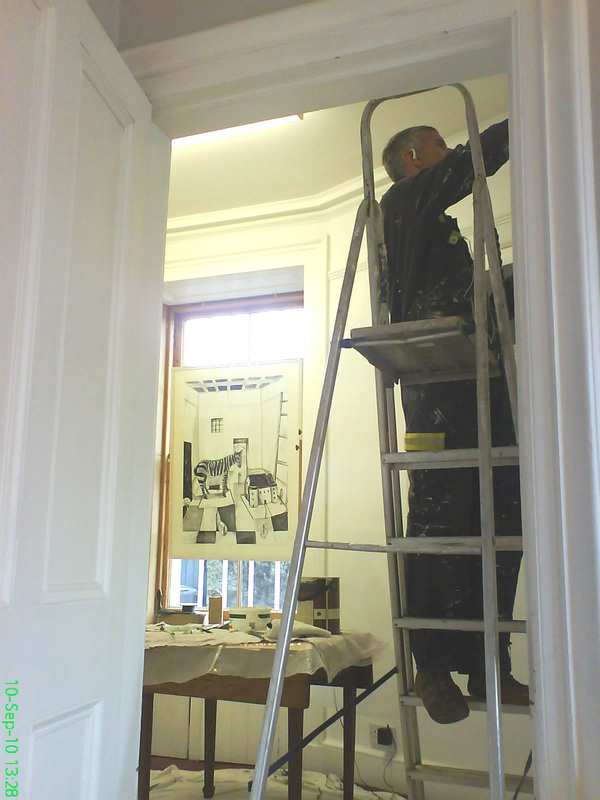 The ink drawings and the wall painting can be seen at the gallery along with the exhibition of water colours .